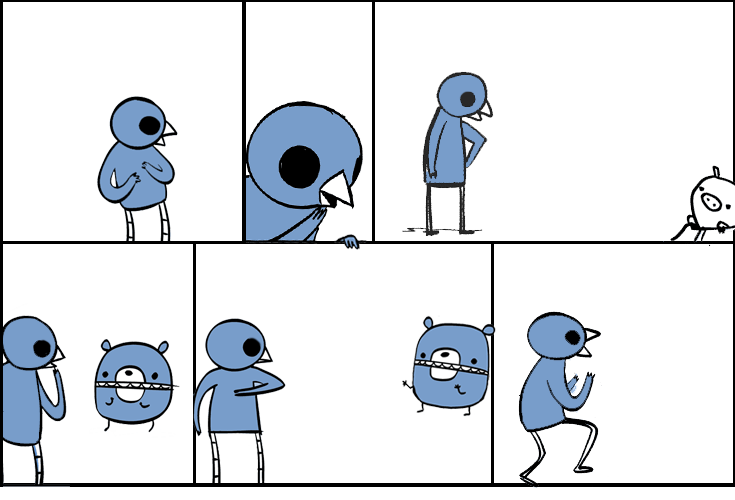 Dinosaur Comics - January 10th, 2007 - awesome fun times! –This was very disappointing for a lot of reasons! January 10th, 2007: The comic I did a while back about tagging is included in Wallspankers Three, which is a free-to-download collection of stickers done by street artists, the idea being you print them out and put them up around your town. It turns my comic into almost self-aware META-VANDALISM. Also hey there's an interview with me up at Invisible Ink! It breaks my apparently long-running streak of only being interviewed by women. If you're wondering how I got the police to come to my house in high school JUST BY SENDING EMAILS, well, the answer is there! One year ago today: religious issues solved in this comic: zero!